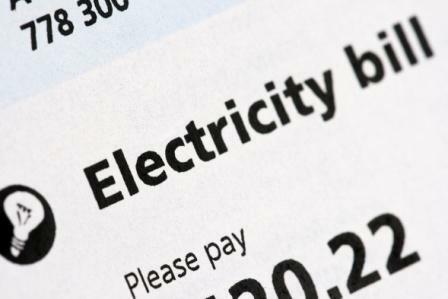 Can an Electric Supply be disconnected for non-payment of an Old Bill? An Analysis of the some Judgments passed by the State Consumer Disputes Redressal Forum by Adv. R. P. Rathod. 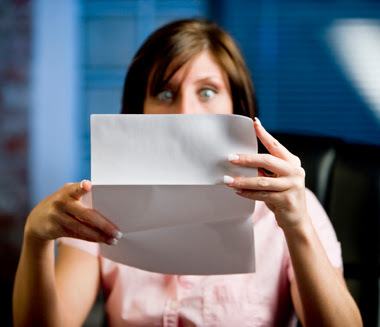 What do you do when you receive an electric bill that is unacceptable to you? You tend to complain to the service provider. Many a times, no action is taken on the complaint, either because of lethargy, indifference or inefficiency explains Adv. R. P. Rathod. In such cases, how does the common man react? He believes that his representation is under consideration. As long as his electric supply is not disconnected, he remains complacent and does not initiate litigation. During the years, the period for challenging the disputed bill also expires. Then one fine day, probably because of audit queries, the officials of the electric company wake up from their slumber, and reiterate their demand by a supplementary bill, and threaten to disconnect the supply in case of non-payment. Since the limitation period for recovery of the electric bill has passed, the amount cannot be claimed from you. On the other hand, the electric company gives you an ultimatum that your supply will be disconnected, unless you pay the outstanding bill. And then, one day, the supply is disconnected. At this juncture, you decide to take legal action, what would be the fate of your case? Let us see how this issue has been dealt with by the courts. The Maharashtra State Electricity Board (MSEB) issued a supplementary electric bill to Swastik Industries demanding a sum of Rs. 3,17,659. This bill was paid under protest, and later challenged by the consumer by filing a complaint before the Maharashtra State Consumer Disputes Redressal Commission. As the complaint was allowed, MSEB challenged the order. The National Commission, in appeal, reversed the order holding that disconnection of supply was permissible for non-payment of an earlier bill. While deciding the matter, reliance was placed on an earlier judgment of the Bombay High Court in the case of Bharat Barrel & Drum Manufacturing v/s Municipal Corporation of Greater Bombay (AIR 1978 Bom 369), where it had been held that there is no limitation for making the demand by way of supplementary bill. 2) The right to discontinue supply of electrical energy for neglecting to pay the charges. It is up to the electric company or board to decide whether to file a suit for recovery of its dues. Hence, the mere fact that there is a right to file a suit within the prescribed limitation period does not take away the right to demand payment of the charges and to disconnect supply in the event of failure to pay the charges. The intendment appears to be that the obligations are mutual — that the board would supply electrical energy and the consumer would be duty-bound to pay for the electricity consumed. So, even if a claim is time-barred, the electric company would not be entitled to file a suit for recovery of dues, yet it would have the right to disconnect supply for non-payment of its bill. Accordingly, the Supreme Court upheld the board’s right to disconnect supply without taking recourse to the filing of a suit to recover the outstanding dues. So learn your lesson. As a consumer, do not be complacent merely because of the service provider’s inaction. If you want to dispute a bill, you must file a case within the limitation period. The service provider can afford to take things lightly, knowing fully well that it can take recourse to arm-twisting tactics by disconnecting the service to coerce you at any point of time to make payment. Thus, there is no substitute for being an aware and a vigilant consumer concludes Adv. R. P. Rathod.